The 54th annual Miss Universe Malaysia pageant has finally found its winner; 24-year-old Vanessa Tevi Kumares from Seremban! 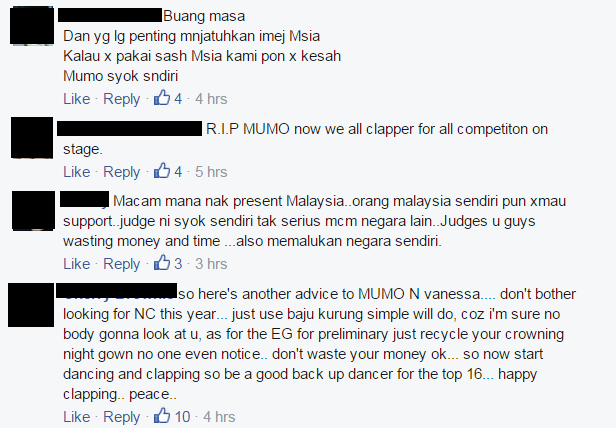 However, Vanessa’s victory in Miss Universe Malaysia 2015 (MUM2015) has sparked quite the outrage among Netizens as many feel that she does not deserve the crown and is not suitable to represent Malaysia at Miss Universe 2015. 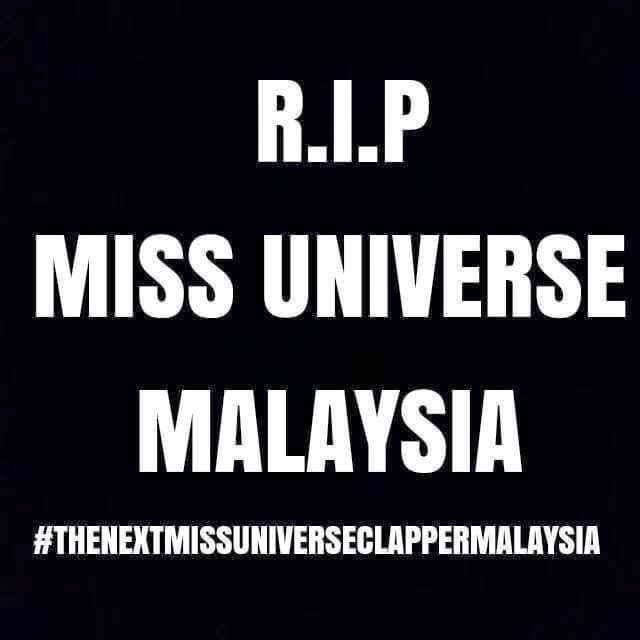 Since the winner was announced on Friday, the official Miss Universe Malaysia Facebook page has been filled with snide comments and harsh words from those who have decided to boycott the Miss Universe Malaysia Organization (MUMO) with the hashtag #RIPMUMO. 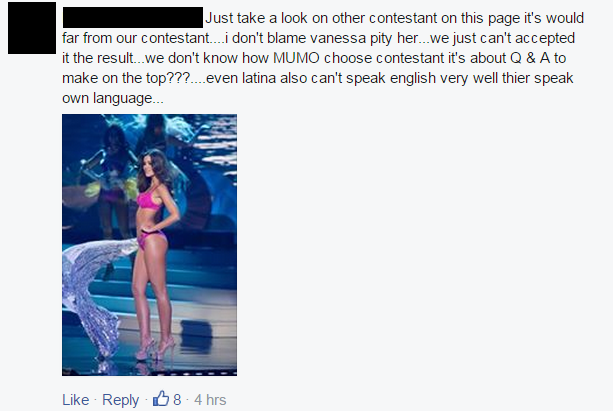 However, fans are not angry with Vanessa herself, but are furious at the jury and judges’ decision that allowed her to win. 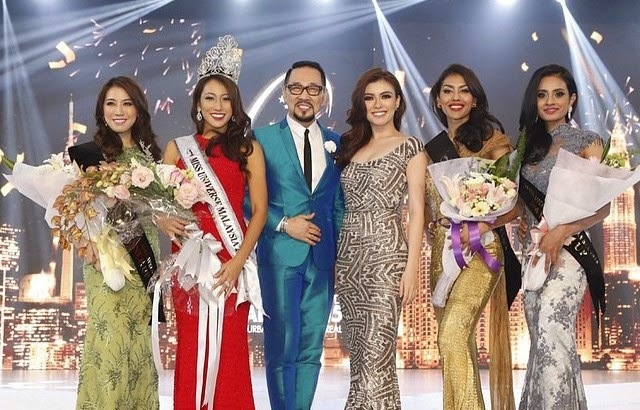 Most Netizens feel that second-runner-up Kelly Jagan should have been the one to win the crown. Even Carey Ng, the director of MUMO and titleholder MUM2013, was blamed for the results and many urged for her to resign from her mentor position. 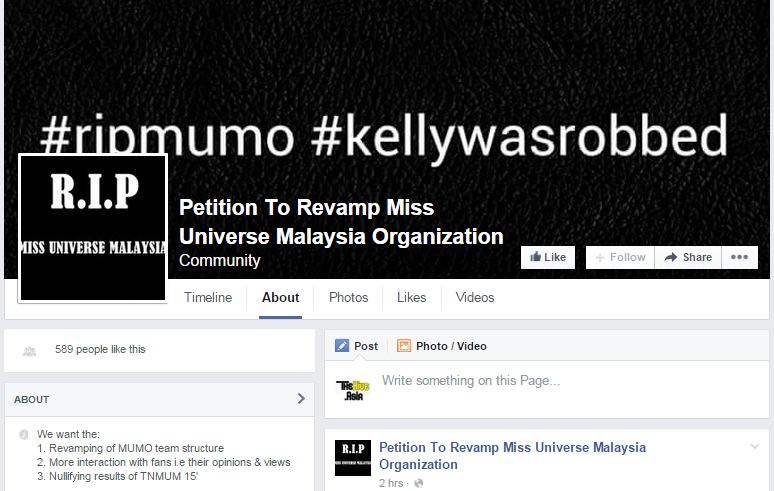 Furthermore, a “Petition To Revamp Miss Universe Malaysia Organization” Facebook page has been created with the aim to revamp the MUMO structure, take in fans opinions and views and nullifying the result of Miss Universe Malaysia 2015. For now, the dispute is still ongoing. MUMO and Carey Ng have not made any comments as of yet. Anyway, congratulations to Vanessa Tevi for her accomplishment and let’s hope that she can make us proud at the global Miss Universe 2015 pageant which would reportedly be held late this year or early next year.